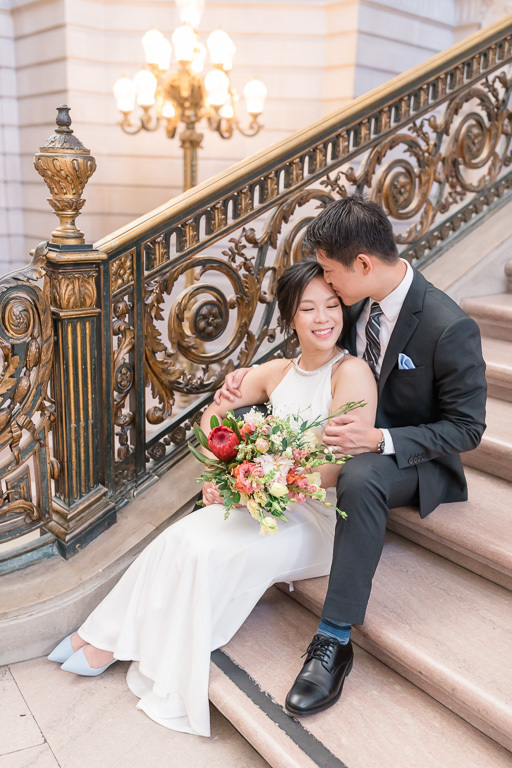 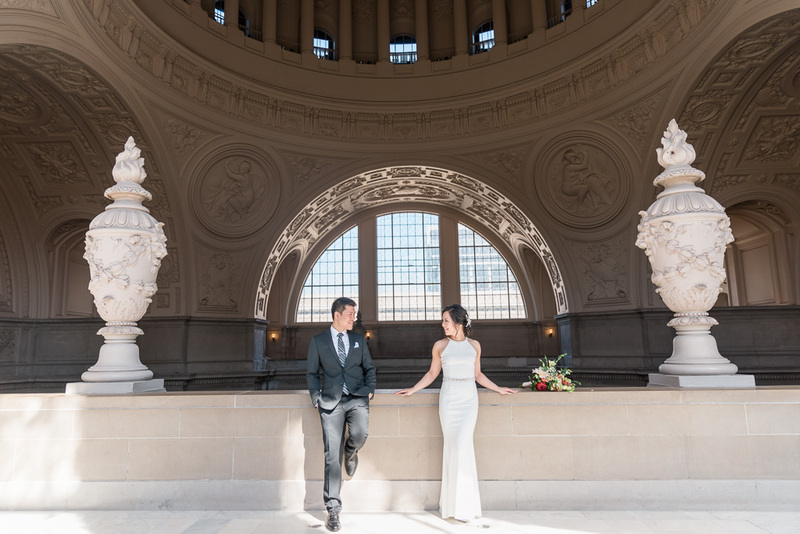 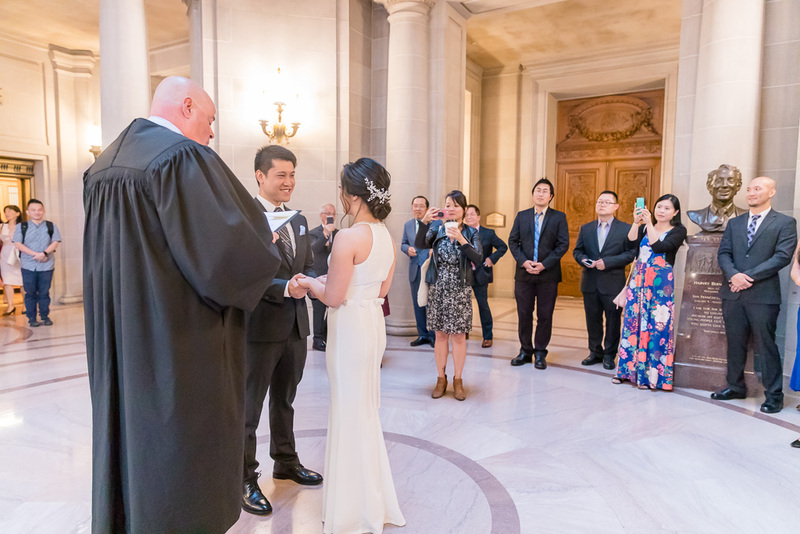 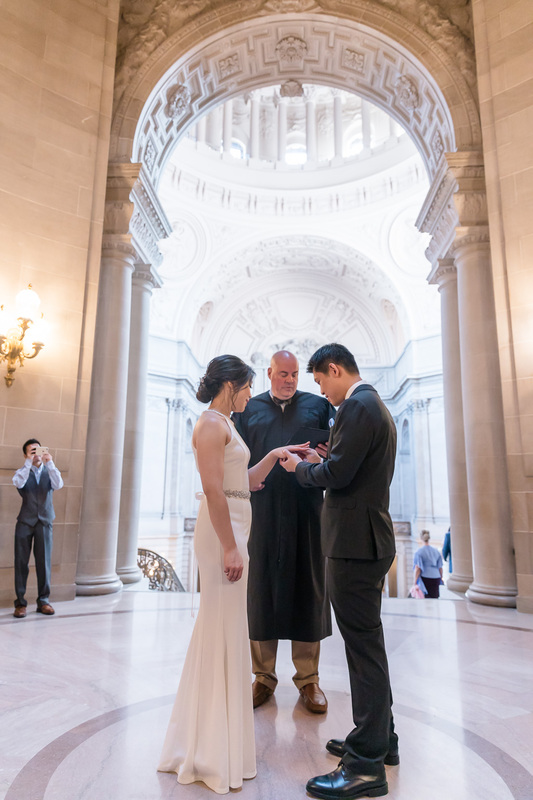 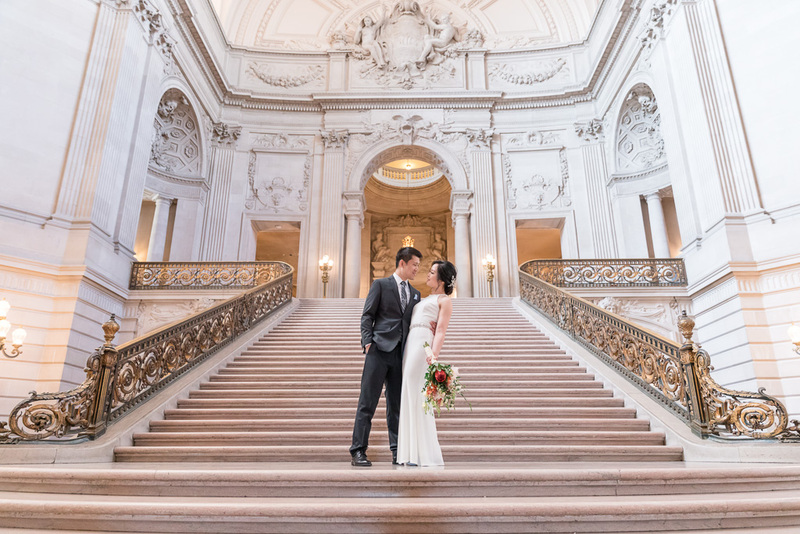 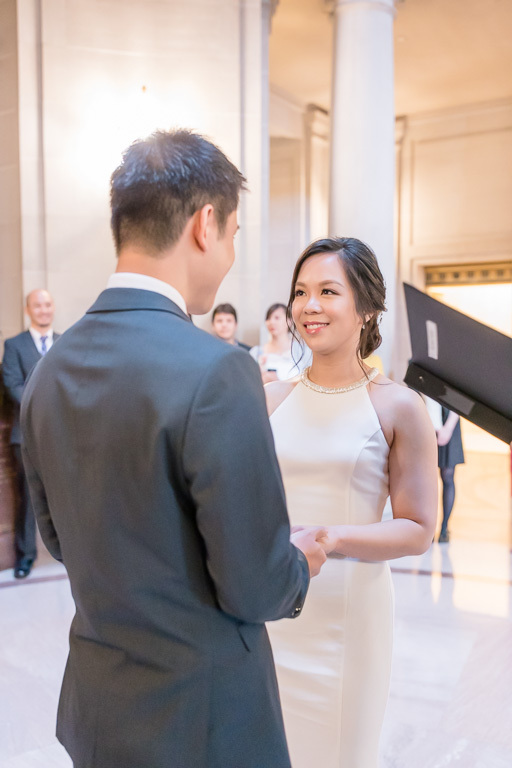 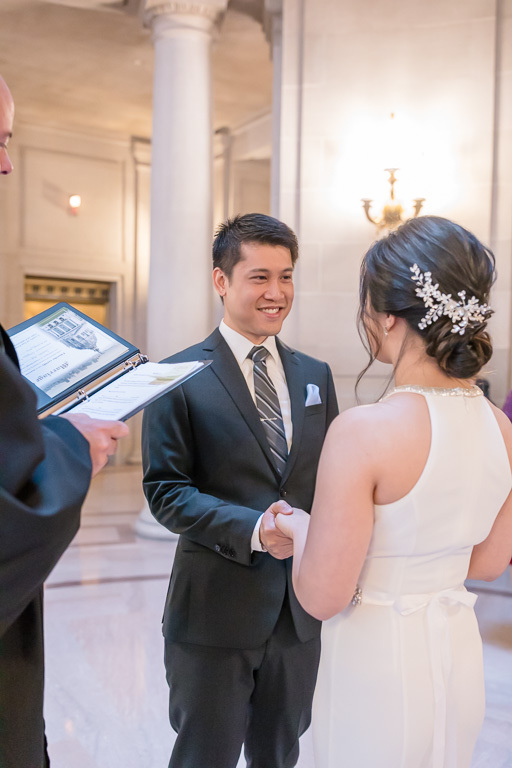 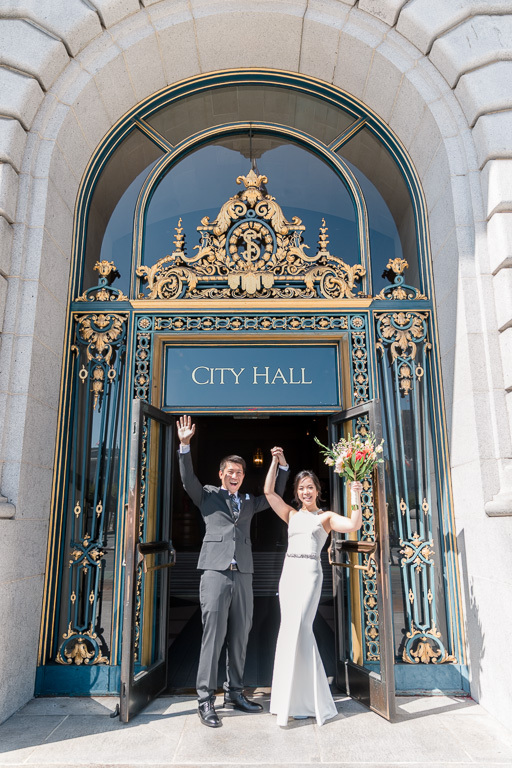 Jess & Jason held their San Francisco City Hall marriage ceremony two weeks ago. 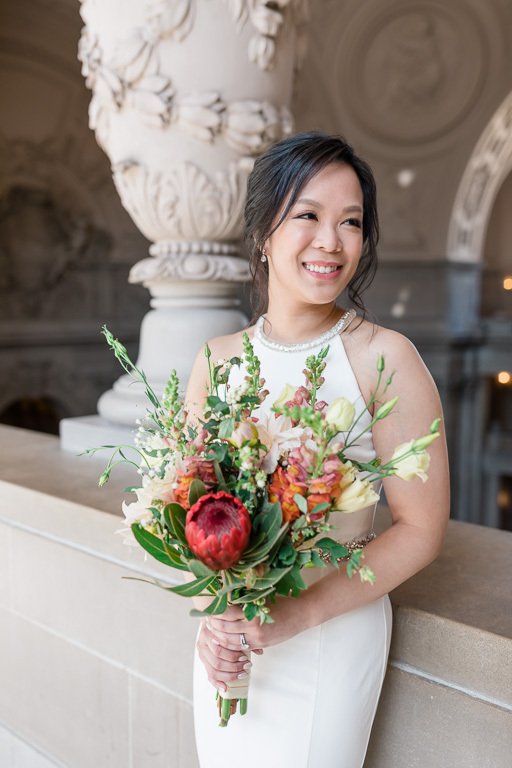 Jess got up reeeaally early in the morning to get all dolled up, and it was totally worth it as she looked absolutely stunning! 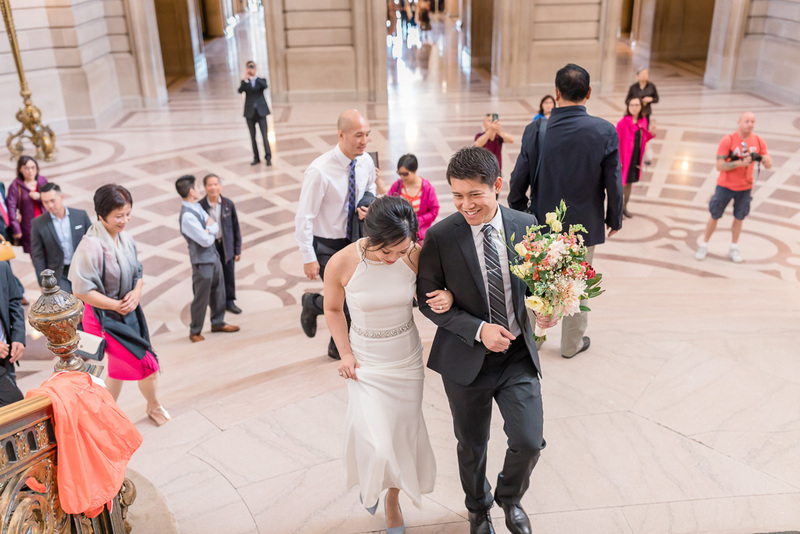 (Oh, and Jason looked pretty sharp too :P) These two are the absolute sweetest, most easygoing couple, and it was no surprise to me that quite a few of their friends took the Monday off to celebrate with them and support them in their union. 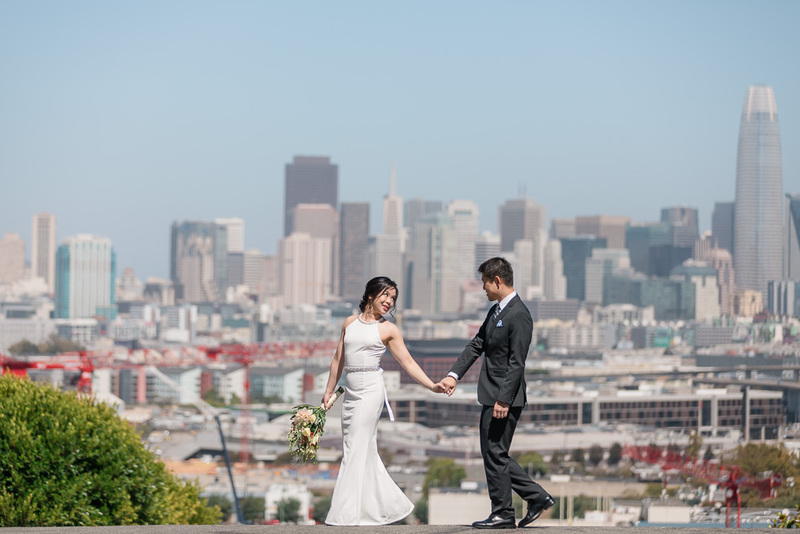 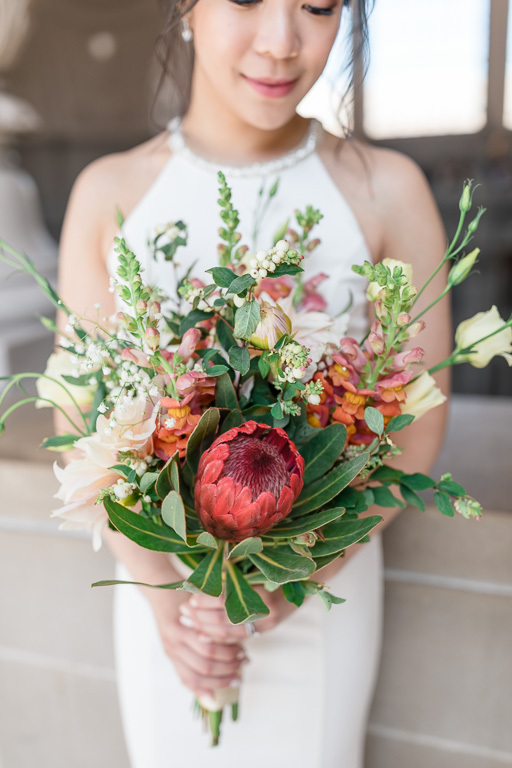 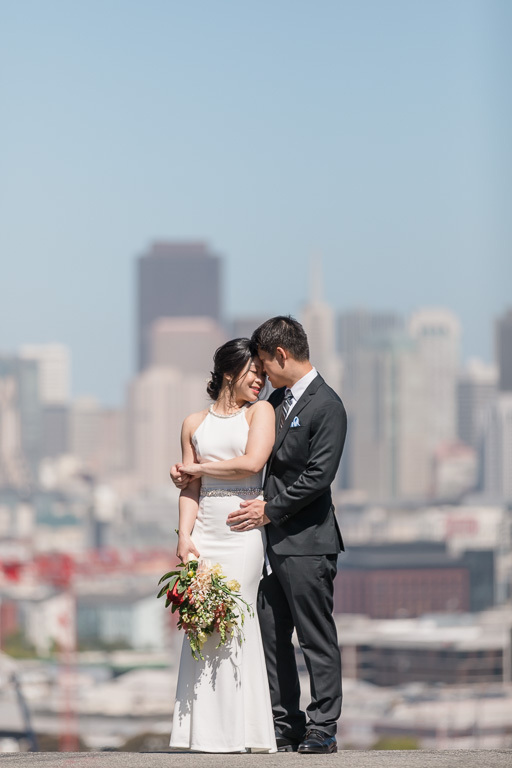 After their civil ceremony, we headed over to Potrero Hill for a few more photos in front of an eye-catching view of the San Francisco skyline. 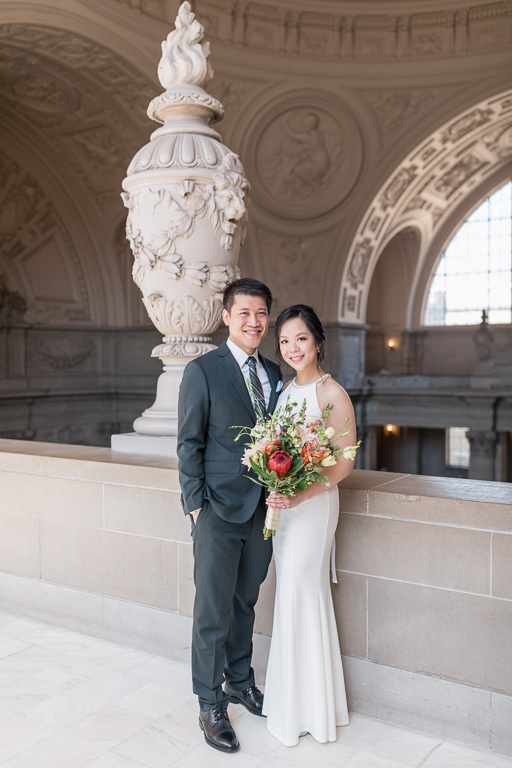 I really enjoyed getting to know them and witness their “mini big day” 🙂 They’ll be having a bigger wedding celebration next year, and I’m sure it will be even more beautiful!